Loose-head prop Gareth Thomas has signed a new three-year deal to keep him at Ospreys until 2019. Thomas, 22, joined Ospreys in May, 2014 from Carmarthen Quins and has since made 18 appearances. 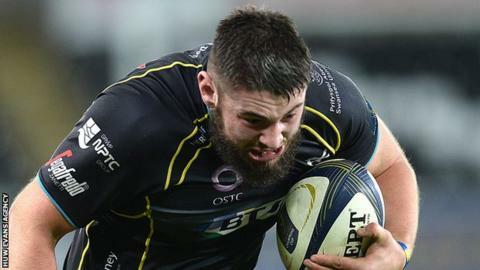 Ospreys head coach Steve Tandy said: "He wants to be playing more, but he has a real grasp of what we want to see from him." Thomas said: "I've had some great experiences and I've got to keep working hard to keep myself involved."